As the days get shorter, the nights get longer. So the party must go later, and this one goes all the way til 4 – a full night of late night music. 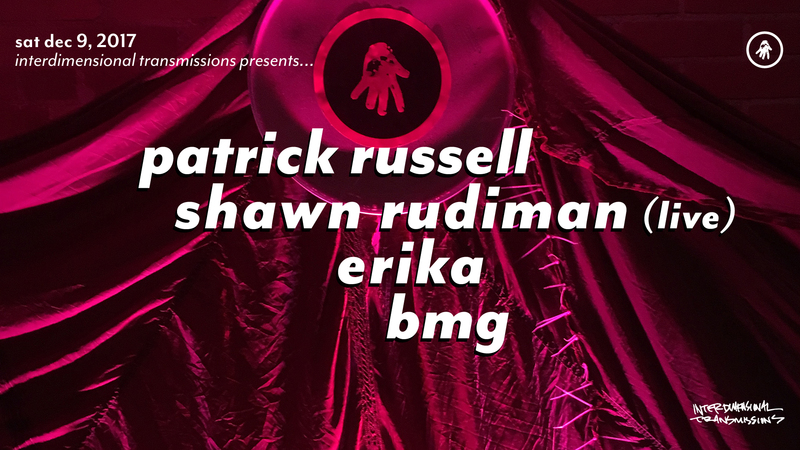 Come lose yourself as we explore the power of music though massive slabs of sound and the psychedelic power of master midwestern mixer Patrick Russell and an extended 90 minute live set from Shawn Rudiman, one of the best and most dynamic techno live shows in America. With Support from Erika and BMG.